Master Gardener Landscaping, Inc. was founded in 2000 to provide well designed landscape installation and care to Tampa Bay area homes, condos and businesses. 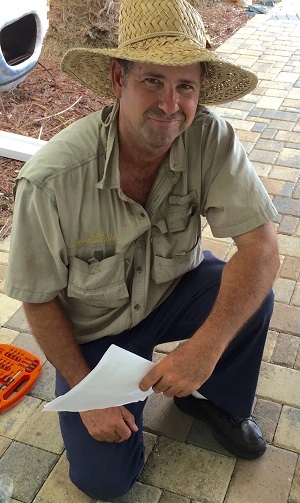 Led by Eric Morrison, a St. Petersburg, Florida native and Pinellas County resident with over 35 years’ experience in the landscape industry, we are dedicated to caring for landscapes the right way. Our eye for detail serves us when beautifying residential and commercial landscapes in the Tampa Bay area. We take the time to care for landscapes with environment and climate in mind, assuring a more healthy and easy to care-for landscape. Eric has been involved in landscape design and installation in one form or another since 1977. During those years, Eric had continued his education of horticultural sciences through the county extension office and been presented many awards. In addition to encouraging the use of compost and reclaimed water, the advantage of recycling takes form in plant use as well. We will make every effort to use existing plants that are healthy and appropriate for the design. Sometimes we will move them to a location within your landscape that suits them better, but we like to give every plant a chance to thrive and serve a purpose. To this end, we are proud to have achieved LEED Gold certification on some of our landscape installations. Trust on your property, dependable to get the job done, and capable to do it right. We realize having someone on your property caring for your plants can be a bit disconcerting. You will personally meet anyone that will be working on your property ahead of time. We don’t use strangers and undocumented day-laborers to work on your property. You may have noticed many Tampa Bay area landscape companies have gone out of business due to the difficult economic situation over the last few years, but we want to assure you we are alive and well and looking forward to serving you. Our thirty-plus years of horticultural experience serves us well as make every effort to keep our operating costs down in order to be competitive in today's challenging economy. This economy has also caused a rise in the number of “jobbers” that are offering “landscape services” to get by. While we commend the initiative, we don’t believe anyone with a pickup truck and a shovel should be considered capable of doing our job. The many years of experience, knowledge and training on the care for Florida landscapes is not to be discounted. Please hire a professional when permitting someone on your property to care for your landscape.